is visited by a group of eight people. Surprisingly, each gorilla group has distinct and unique characteristic quiet different from another. 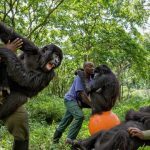 A single gorilla permit in Rwanda costs 1500 paid by all travelers including Rwanda nationals. 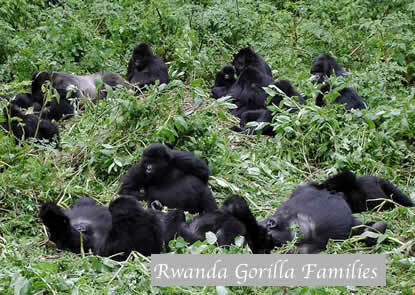 Below are the Rwanda’s gorilla groups available. This is the most popular family with previously 42 members before the split. Well known for being the group studied by Diana Fossey during her time in Rwanda from 1967 to 1985. In 2008 the group of 42 individuals split into 2 as it had become so large . The breakaway group was later known as Susa B or Karisimbi group. Susa A group is well known for its playful twins of Byishimo & Impano and was named after the Susa River that drains through their home range. 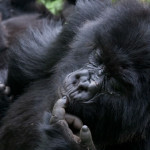 The group is composed of 33 members including 2 silverbacks and inhabits the forests on the lower slopes of Mt. Karisimbi. This is sometimes referred to as Susa B and is the group which split from the original Susa in 2008. It is made up of 16 members including 2 silver backs. The group is the hardest to track as it inhabits the upper slopes of Mt. Karisimbi at an altitude of 4507m. 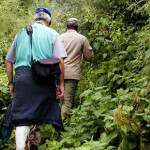 The group has established their home high in the upper slopes and is suitable for trackers interested in serious hiking. Tracking this group is sometimes difficult as they go further high though RDB rangers will first locate the group a day before. This family broke away from Ubumwe silverback as a result of constant battles between Charles and Ubumwe the two head silver backs; Charles consistently challenging the supremacy of the leader Ubumwe. Charles eventually succeeded in breaking away with some members hence forming Umubano group. The group is composed of 13 members including 2 silver backs and its name means ‘living together’. 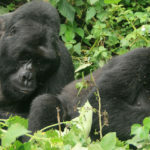 The nearest gorilla family and easiest to track inhabiting the gentle slopes between Mt. Sabyinyo and Mt. Gahinga. The group is popular for its giant silver back known as Guhonda which has kept its main challenger, Ryango out of the family to remain as a lonely silver back. The group is composed of 13 members including one silver back after another was exiled from the group. The commander of the group; Guhonda is the largest silver back in the park weighing about 220kg. The group was named after the Sabinyo volcano that means the ‘old man’s teeth’. This is a migrant group from Democratic Republic of Congo which was named after its dominant silver back called Kwitonda which means the ‘Humble one’. Because of its migration background, the group wonders in the lower slopes of Mt. Muhabura and like Karisimbi group, it is onerous to track as it sometimes moves to the upper slopes. The group is composed of 23 members including 4 silver backs. This family was formed in 2006 by some members of Sabyinyo group and others from 13 group (Agashya). More gorillas joined in and now the group is composed of 16 members including one silver back. The group derived its name from its formation process that was out of luck. Hirwa means ‘the Lucky one’ and as luck has it, the group got twins in 2011. 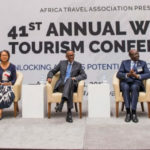 Hirwa group inhabits the foothills of Mt. Sabyinyo to the side of Mt Gahinga. 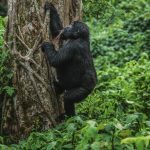 This group was formed as early as 2007 by Bwenge, and named after him the group’s dominant silverback,after he had left his Natal group and was joined by females from other groups. 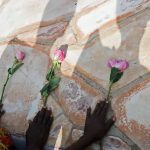 The group occupies slopes of Karisoke volcano between Karisimbi and Bisoke mountains and had witnessed dark times when its 6 infants died. The group has however recovered and now has 11 members including one silver back. Bwenge is a Kinyarwanda word which means ‘Wisdom’ and it’s no wonder that this was the group that featured the Movie ‘Gorillas in the Mist’. 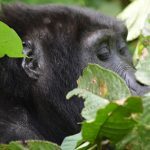 In conclusion, with the description given, you should have a good picture of the characteristics and nature of each gorilla group and are in position to choose which gorilla family to track on your rwanda tour while in Volcanoes national park.